In an age driven by technology and digitization, it is hard not to become slave to gadgets and machines. Our heavy dependence on digital devices like computers, smartphones, tablets, laptops and television is today both a necessity and an addiction. Our Eyes bear a heavy brunt of this tendency, they get tired, and weary; they may become itchy or red. Fashion Most Wanted shares with you useful tips on how to maintain eye health in the electronic age. Routine checkups: Make it a habit to visit an ophthalmologist once a year if you live and breathe on computer and other smart devices. 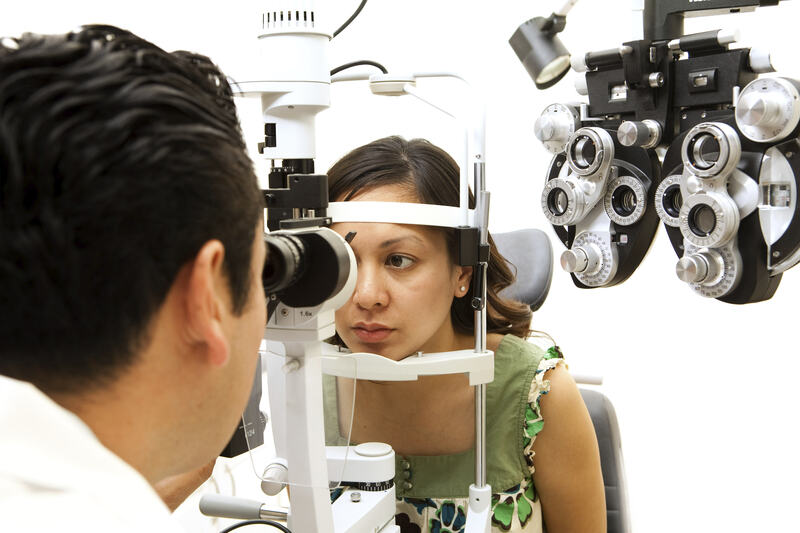 Get your eyes examined and seek advice, particularly if you are experiencing redness or itchiness. Keep checking if your vision needs correction. Reduce glare: Opt for installing anti-glare screen on your monitor and if, possible, paint your walls with a darker color having matte finish to avoid reflections or glare on them. Glare or reflections on walls and computer screen add to the eye strain. Take a break: Working on a computer continuously at a longer stretch can harm your eyes. Do not just stare on the screens for hours at a stretch. Take a few minutes break every hour, take a walk around your office, stretch your arms, body and back. It helps in avoiding vision syndrome and also prevents body ache. Stand up and go for a mini-stroll, this will help in releasing muscle tension as well as eye strain. Use protective lenses in spectacles: Getting the right spectacle lenses will make it easier for you. Contact lenses lose moisture and tend to dry out during prolonged hours of computer work. It will serve you well if you opt for spectacle lenses that gives you protection. Essilor’s Crizal Prevencia is the first lens to offer selective protection against harmful blue light and UV rays that computer and smartphone screens emit. This lens lets in essential light which your eyes need to function properly while filtering out the harmful light. Exercise and relax your eyes: You can follow the palming method. Rub the palms against each other till they get warm and then cup your eyes with your palms for one minute to give them relief. To soothe your eyes from constantly looking at your computer screen, you can follow the “20-20-20” rule. Look away from your computer screen in every 20 minutes for 20 seconds and stare at a distant object. Use proper lightening: You eyes start developing strain because of extra brightness. You can avoid working with fluorescent lights on in your computer. You can use floor lamps for appropriate visibility. Water wonder: Water really can do wonders, you can splash water on your eyes to afresh them and water will help cleansing the fatigue. You are advised to drink water at regular intervals as this will towards reducing the puffiness in your eyes caused due to prolonged working hours while sitting in front of your computer. Healthy diet: Balanced diet enriched with portions of Vitamin A, C and E proves to be the most vital supplement for ensuring eye health. Eat fruits like tomatoes, spinach, green leafy vegetables, kale, citrus and dairy products. Doctors have also recommended intake of fish reach in omega-3 fatty acids, such as salmon and tuna. Sit straight and upright: Inappropriate posture during computer work will contribute towards adding to vision deficiency. Structure your workstation and chair to the coordinating levels. Fix up ergonomic furniture to enable you to position your computer screen 20 to 24 inches from your eyes. The centre focus of the screen should be about 10 to 15 degrees below your eyes to stabilize your neck and head at a right place. You can use a desk lamp but make sure it should not be too bright for your eyes. ← New Designers in the City!